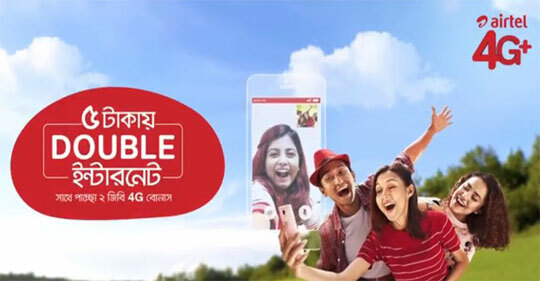 Airtel prepaid customers can enjoy 4G internet bonus for purchasing the main pack. 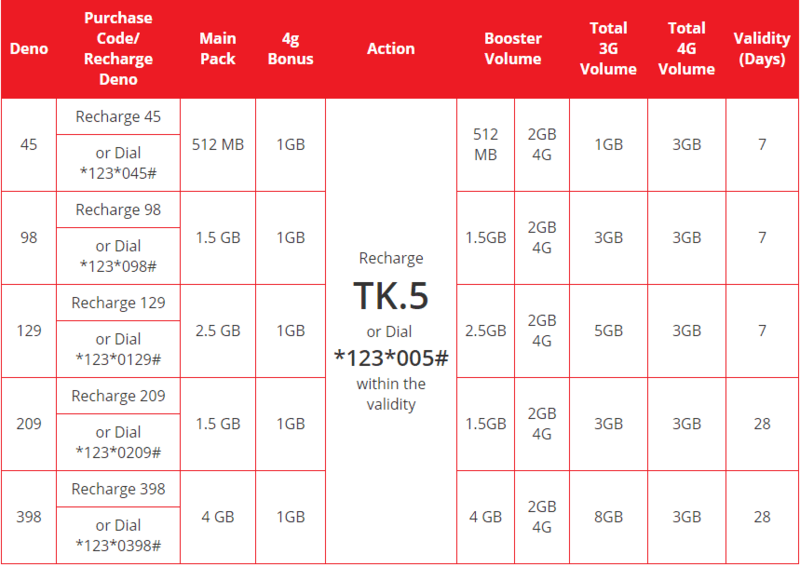 If an Airtel prepaid user purchases a major data pack below, then he will be able to get the same internet package recharging only 5 taka or by dialing USSD code * 123 * 005 # (Charge 5 taka). Main Pack Validity Besides, he will get 2 GB 4G bonus to buy a 5 pack. Both 1 GB 4G & amp; The validity of 2 GB 4G will be 15 days. As many as 4 subscribers can receive the offer as they are during the Campaign add-ons 5TK packs can be used only once after purchasing each major pack. Once this money is accepted 5 packs, it can not be rescheduled until expired. The sum of 6 paise pack will expire on the same day of the original pack. If multiple major packs are available during the purchase of Addon 5 packages, the pack will be able to get the addon volume with the validity of the pack associated with the highest price. Offer for 10 airtel prepaid subscribers will be effective. At 16 taka, there will be minimum priority for extra pack data packs. Suppose a customer has a general package named "AAA" in addition to a 5-rupee pack. The data volume will be consumed from the first "AAA" pack. Once it is fully enjoyed, it will start collecting from the pack of 5 bucks. If the customer buys for 45 packs, then 209 packs and then 5 rupees to 5 taka, he will get double data for the first recharge. The second money will be recharge of 5 taka, empty or left in the main account. postpaid customers will not be able to purchase any of these packs. Thanks a lot for the with us a long time, if you face a question about Airtel 5Tk Double Internet offer just leave a comment we will reply your feedback. Thanks again.